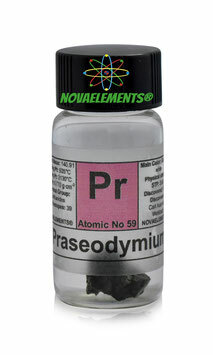 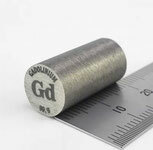 Praseodymium is a reactive, soft metal. In compounds, it shows a beautiful, lustrous green or yellow, which often is used to stain glass, cerami and enamel. 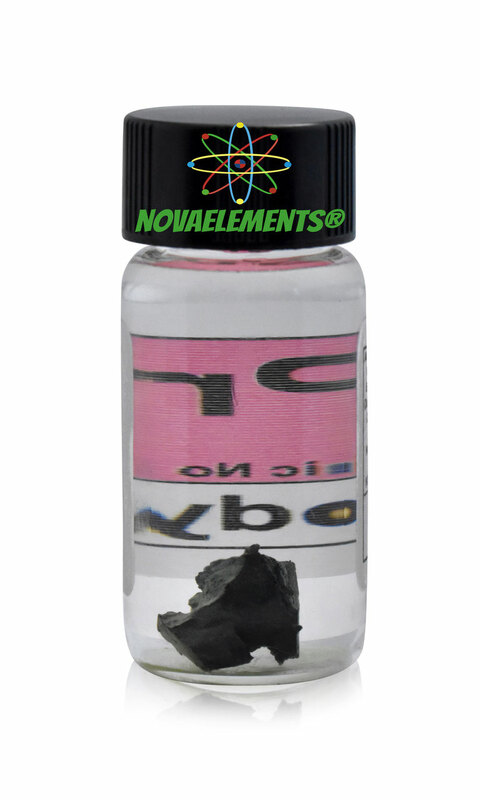 It also is used in sunglasses and safety goggles, because it can block ultraviolet light. We suggest this element at the purity of 99,9% in a 6 mL glass vial with about 1,5 cm of diameter filled of high quality mineral oil, which prevent oxidization. 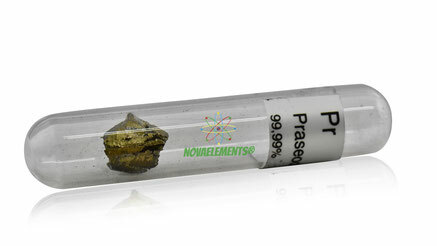 High Purity Praseodymium metal element 59 sample of 1 gram in glass vial under mineral oil, pure Praseodymium metal sample.